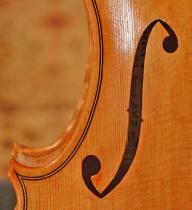 Violins are either traditional 4-string or a 5-string fiddle that is very popular with the Jazz/Bluegrass musicians. Both the 4-string and the 5-string include a case. 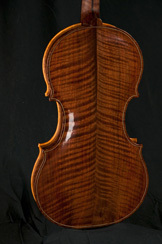 Call or email the shop to discuss the type of violin and the type of wood you would like. We can then arrive at a final price. A deposit of $1000.00 is required to hold your place in line. The $1000.00 is credited toward the total cost of the instrument. 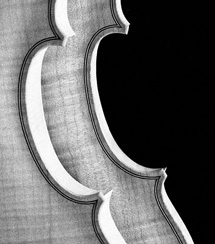 Half the balance is due when I start building your violin and the remainder upon completion and before shipping.